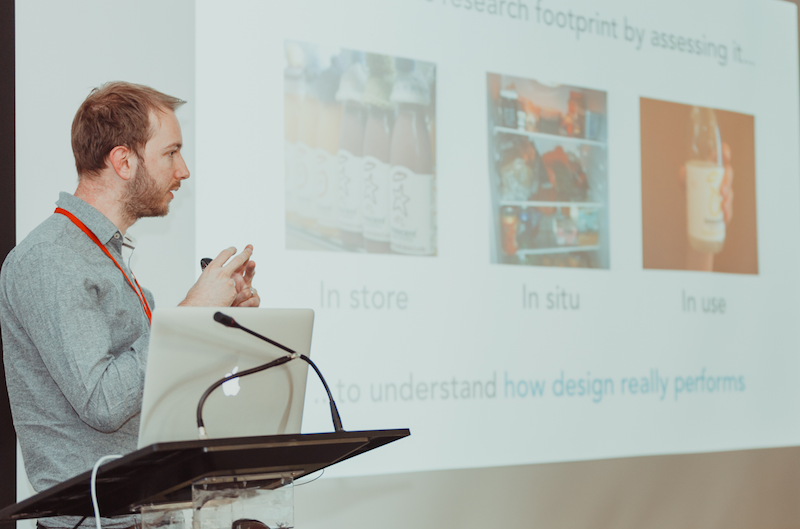 In April, Stuart Chapman, the Associate Director of the design research agency The Big Picture, spoke at the inaugural Popsop Practicum event in Moscow about the role of research, specific methodologies and how design research is different from all other types of research. Back then, we made this interview with Stuart for the Russian journal Wtpack.ru. Now we publish it in English here. — Do clients usually turn to The Big Picture when the final concept is to be chosen or initial ideation stages also take place? — We have clients come to us at all stages of the creative process: at the Pre-design stage (where clients are looking to inform and inspire a design brief), at the Exploratory stage (where the design agency needs direction around some creative ideas) and at the Evaluative stage (where the team need validation of the right execution of the idea and guidance on how to optimize it for launch). When we’re brought in earlier, our clients have found that it can help ensure a smoother creative process. It can help to avoid difficult situations where the research reveals that a wrong creative decision was taken months ago and we’re just looking at multiple executions of a flawed concept — meaning a waste of time and money as the team goes back to the drawing board. — Developing the pitch, some design studios offer a client the only right solution which they think would work best, while others present several concepts that do the job — the client then picks their favorite. Which would be the most common scenario, depending on what factors? — We’ve experienced both situations. It tends to be better to have more options to explore than fewer, as if you only explore one route and it doesn’t work then that risks leaving the team with no direction! When the creative team presents multiple options, the client needs to be careful to only filter out those that are failing to meet the brief and the strategic intention for the brand. If they pick those they like the most, that subjectivity can mean the wrong routes go into the research. — After 6 years in design research, is there anything in FMCG that escaped your research focus? Not much! I’ve researched most FMCG categories and as a company, over our 21 years in business we’ve researched pretty much every category in FMCG — a hugely diverse range including pharmaceutical, cosmetics, sexual health, laundry, frozen food and of course just about every type of alcohol going. While the categories vary, clients often have similar marketing or design challenges which means we’re able to bring our cross-category experience to bear. — In your research career do you still find surprises? — Definitely. With more experience you can start to predict some of the challenges you’ll face, but you never quite know how the project will pan out, which is what keeps the job fresh. — We often witness some “guru-type” marketing expert pop up and proclaim that certain working marketing approaches or methods are dead. Which marketing tools should we put away on the shelf in the archive? — The right working method depends on the project, on the brand, its market situation and the objectives — so it’s hard to pinpoint a method to ‘shelve’. We’ve long done things differently from generalist research agencies, because the way that consumers interact with design demands a specialist approach. We use techniques that access the unspoken, subconscious interaction that consumers have with design. This approach has been supported recently by Nobel Prize winner Daniel Kahneman’s research in psychology — his ‘System 1, System 2’ model (described in ‘Thinking Fast & Slow’) reasserts the critical importance of capturing the subconscious, implicit communication of design. — What are the most common marketing blunders companies make in their branding? — Expecting packaging to do too much is a classic. When ATL budgets are limited it’s tempting to try to make packaging all-singing and all-dancing, shouldering the entire responsibility for the brand’s comms. This is often too much strain for one touchpoint. Perhaps counter-intuitively, when budgets are limited it’s better for design to be very single-minded to help the message cut through. Another common one is over or under-valuing pre-existing brand visual equity. 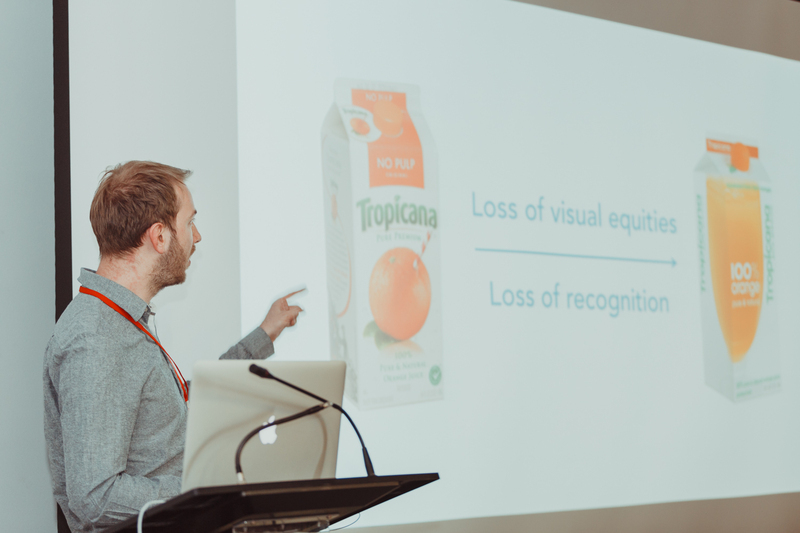 Worry about it too much and it’s a straightjacket to evolving the brand, but pay too little attention to it and you can end up in a situation like Tropicana — where they changed so dramatically their sales dropped 20%. — What degree of client involvement do you find most comfortable? — The best clients have a strong vision of where they need the brand to move and provide clear research and design briefs, but they’re also happy to trust in the expertise of the creative and research agencies they’ve procured and allow us to do our job. We’re lucky to have quite a few clients who fit that description. — How do you tell, when the concept or brand has received enough of research treatment? — That’s an easy one — when the research demonstrates that we have a design that meets the brief. Even when we don’t have a spot-on design, sometimes we have a design that’s nearly there and the research provides enough guidance for the design agency to take it the final leg without the need for further testing. — Every research account is customized services package, and every client needs to know what exactly they pay for. Are there any services that you render which can never be assigned a fixed pricetag? — We can always provide a fixed cost for research projects — from a client perspective the uncertainty comes in because they don’t know if this will yield a positive result which they can move forward from, or if they’ll need to start from scratch and need further rounds of design and research before they can launch. That’s where getting research in earlier can help — it reduces that risk of going round and round in circles or feeling pressured to launch a sub-standard design because of time pressures. — The clients that come to you see the value of design research clearly. How do you convince those who don’t see too much ROI in design research? — It boils down to the disparity between successful design (and how valuable that can be) and the ramifications when design goes wrong. We’d argue that when you consider the gulf that exists between those two extremes, the relatively small investment in design research – which can help achieve the former and avoid the latter — is a no-brainer. — I guess, you yourself use products and services of your client companies. How do you inject your personal experience or perception into the work you’re doing for them? As a shopper, do you pay closer attention to products in your cart? — My immersion in the world of shopper psychology means that I become quite self-reflective when I go about my own grocery shopping — double and triple-thinking why I’ve made my purchase decisions. It means shopping can take quite a while! Of course I do use our clients’ products, and when researching products I go out of my way to try it if I haven’t already — it’s important to have some level of immersion in the brand you’re researching. That personal experience helps you to put yourself in the shoes of the consumers, and enables you to see the marketing challenge both bottom-up (from the consumers’ point-of-view) and top down (from the clients’). Posted in Interview and tagged design research, interview, package design, Practicum by Popsop, Stuart Chapman, The Big Picture. Bookmark the permalink.